Warmer days are on the horizon and I cannot wait to get my mouth on a nice, juicy piece of watermelon. How about you? I might have started drooling just thinking about it. 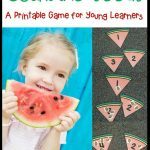 With watermelon and picnics on my mind, I created these fun watermelon counting cards that can be used in many different ways to practice counting and number identification. 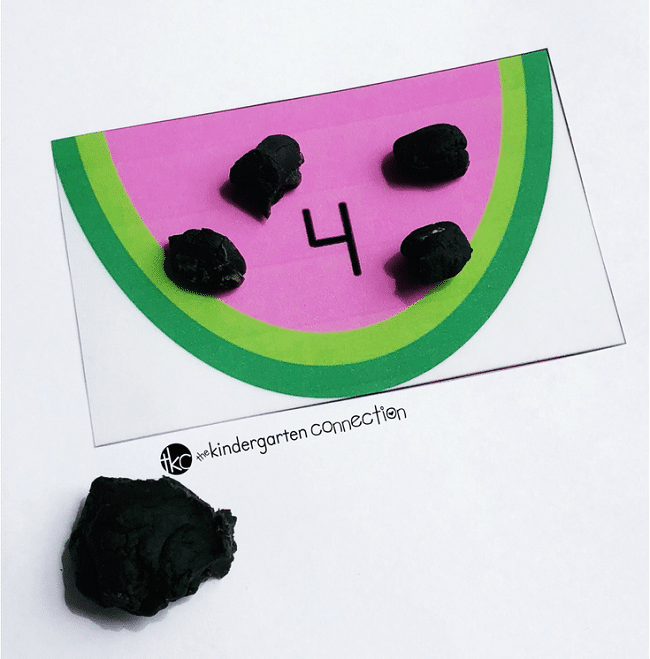 Pair this with our Counting Centers and Activities for Pre-K and Kindergarten! 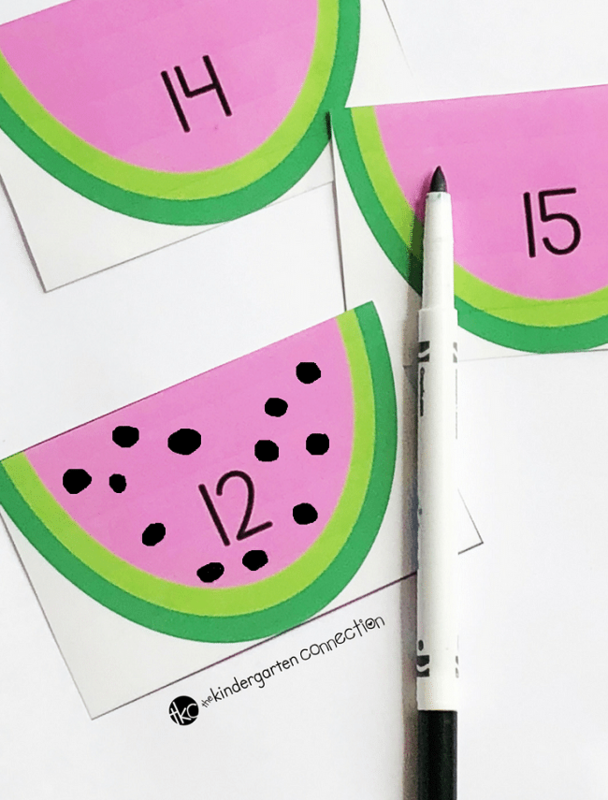 These watermelon counting cards are perfect for preschool, kindergarten, and first grade and are super easy to prep. Simply print out the cards and laminate them. To use the cards, you will provide some sort of seed manipulative for students to use. This can be actual seeds, playdough, markers, beans etc. Children will pick a card, identify the number on the card, and then add that many seeds to the card. I chose to use playdough with ours to get some added fine motor practice in. Pinching off the playdough and rolling it into seeds is perfect for working those muscles in their hands. Once the children have added their seeds to the cards, they can go back through and count each of the seeds to ensure they have added the correct number of seeds to each watermelon card. If you don’t want to get out the playdough or the manipulatives, students can simply use a dry erase marker to draw the seeds onto the each watermelon. 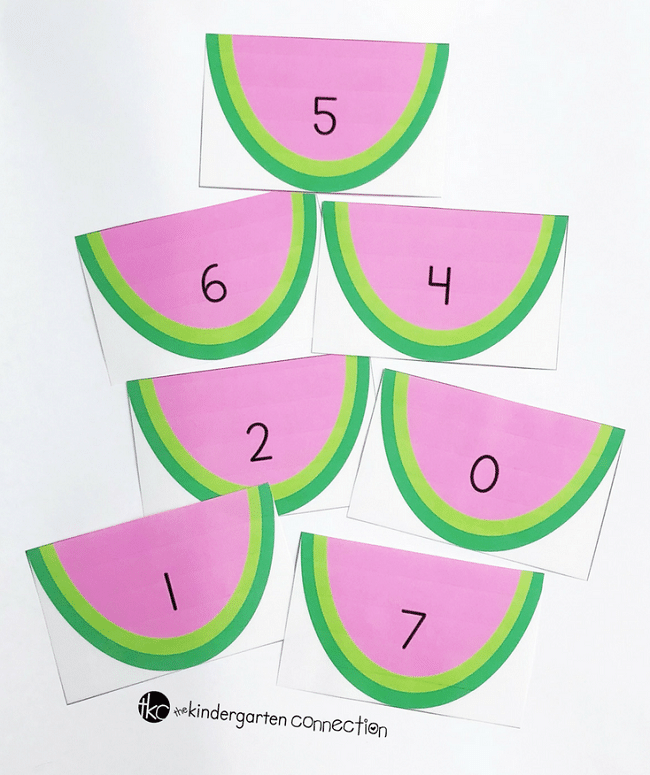 Print out two sets of the watermelon cards and use it as a matching game. Before laminating the cards, draw on the seeds and then laminate. 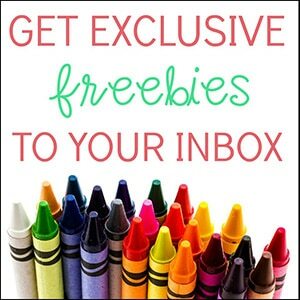 Use a manipulative (pom poms, seeds, beans, playdough) to add seeds to each of the predrawn seeds to work on 1:1 correspondence. Use the cards to put them in numerical order. Grab your copy of the watermelon count cards by clicking on the large, yellow button below. 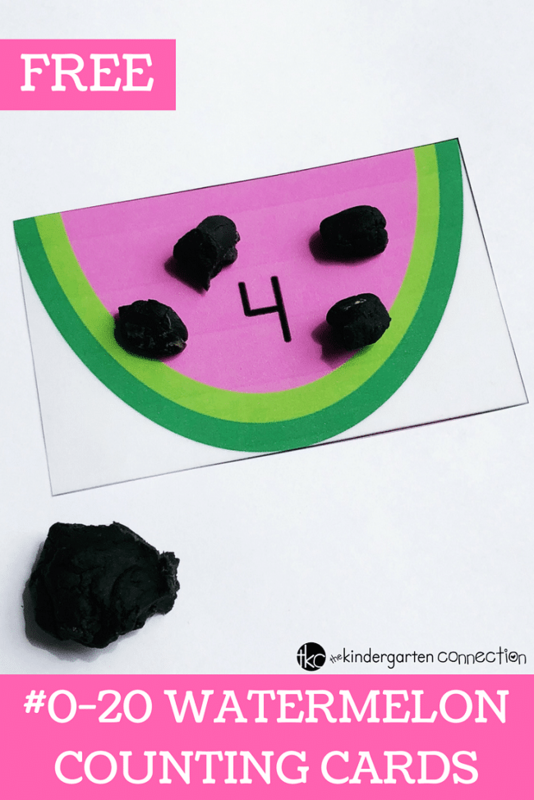 Then, hop on over to see our Watermelon Counting Fine Motor Activity!